The U.S. and China have traded their latest barbs in the trade dispute with President Trump announcing new tariffs on $200 billion in Chinese goods and China firing back with new tariffs on $60 billion in U.S. goods. But global equity markets shrugged off the latest round of tariffs with indices around the globe moving higher. This suggests that either investors are getting used to the concept of a trade war or they believe that the trade dispute won’t hurt the global economy as much as most analysts believe. Personally, I think that the longer the dispute goes on, the worse it will be for the global economy. Since the dispute escalated in January, U.S. stocks have held up better than almost all other markets. Sure U.S. stocks dipped in February and again in March, but they have recovered since then. If we look at a chart of the ETFs that represent the different areas involved in the trade dispute, we see that the S&P SPDR (NYSE: SPY) is the only one in positive territory since January 26. While it is in positive territory, the gain is only 1.82%. In the same amount of time leading up to that date (from June 7, 2017 to January 26, 2018), the Spyders were up 19.4%. So while it might seem like the U.S. isn’t getting hurt by the trade dispute, the trajectory of the stock market rally has changed dramatically. Looking at the other areas involved in the dispute, I included ETFs that represent Canada, China, the Eurozone, Mexico, and emerging markets. Since January 26, the iShares China Large-Cap ETF (NYSE: FXI) has dropped 22.9%. From June 7, 2017 through January 26, 2018 the FXI gained 36.9%. I chose those dates because they represent the same number of trading days—June 7, 2017 up to January 26, 2018 is 162 trading days. January 26 to September 17, 2018 is 162 trading days. China’s ETF has been the worst performer of the six and prior to January 26, it was the top performer of the bunch. The iShares MSCI Emerging Markets ETF (NYSE: EEM) is down 19.6% since January 26, and that is the second worst performance. The EEM has some Chinese stocks among its holdings, but it also has stocks from India, Brazil, etc. So the EEM is getting hurt by falling stock prices in China and it is getting hurt by emerging market currencies falling. India isn’t involved in the current trade dispute, but the rupee has been declining in value. The EEM gained 27.4% in the first time frame. 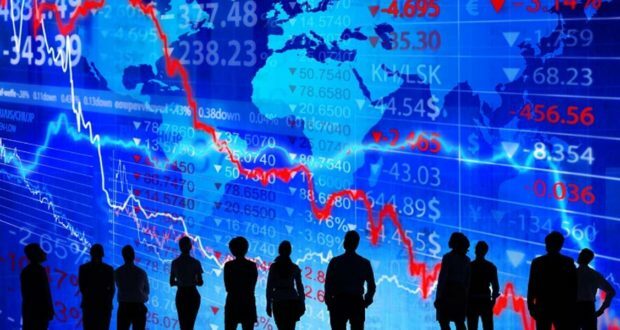 The iShares MSCI Eurozone ETF (NYSE: EZU) is down 11.2%, the iShares MSCI Canada ETF (NYSE: EWC) is down 5.5%, and the iShares MSCI Mexico ETF (NYSE: EWW) is down 4.7%. All three of these ETFs were in positive territory in the first time frame with the EWW lagging the others, but still gaining 3.4%. The point of all these numbers is that the trade dispute has hurt stocks already. The upward momentum of the Spyders had was disrupted. China’s market has seen stocks reverse and so have emerging markets, the Eurozone, and Canada. Mexico has seen little change to its market. For now, it might seem as if the U.S. is winning in the trade war, but the longer it continues without a resolution, the less likely it is that the U.S. market holds up. I wrote last week that I thought President Trump would seek to resolve the dispute prior to the midterm elections and I still think that is a possibility. I really don’t think he wants to hurt fellow Republicans in the voting booths. However, if we don’t get a resolution soon, the economic growth we saw in the second quarter will be an anomaly. We won’t be able to maintain a GDP growth rate of over 4% if the tariffs are fully implemented and we won’t be able to maintain a growth rate that high if the rest of the world is in an economic slowdown. The global economy is too intertwined for the U.S. to grow at 4% while other countries are seeing contractions in their economies.